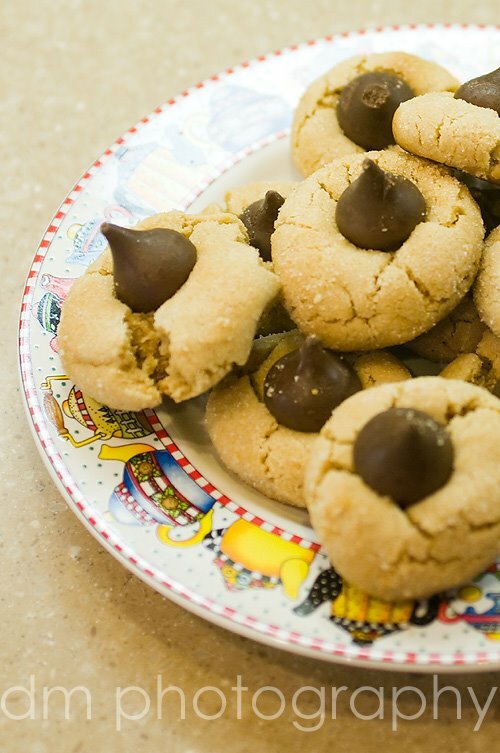 To keep up with my New Year's Resolution, I made my first monthly dessert, Peanut Butter Blossoms. Yeah, I know, nothing fancy, but I had never made them before. And they were a success! I'm off to a good start for my resolution! And man did I just get it in under the wire...baking the evening of the 31st.